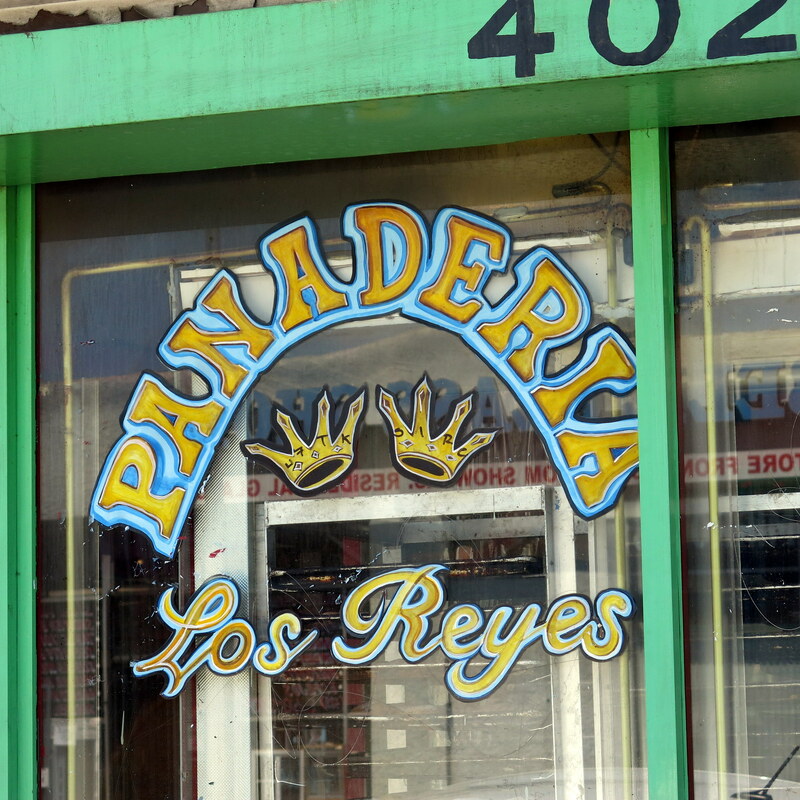 On the way to the car, I was transported by the rich, sweet smell of fresh baked goods, and followed my nose into Panadería Los Reyes. 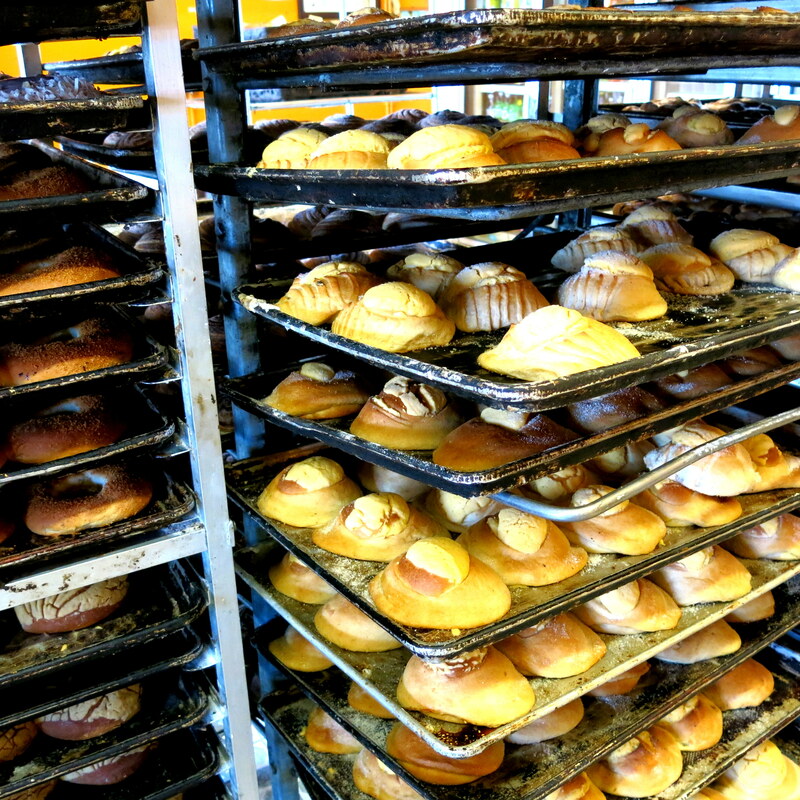 It’s just a small, neighborhood bakery, but the neighborhood could just as easily be in Hermosillo, Zacatecas or Campeche. The carts stacked with still-warm croissants, conchas, galletas and other sweets were irresistible, and I left with a big bag of goodies that lasted an embarrassingly short time. 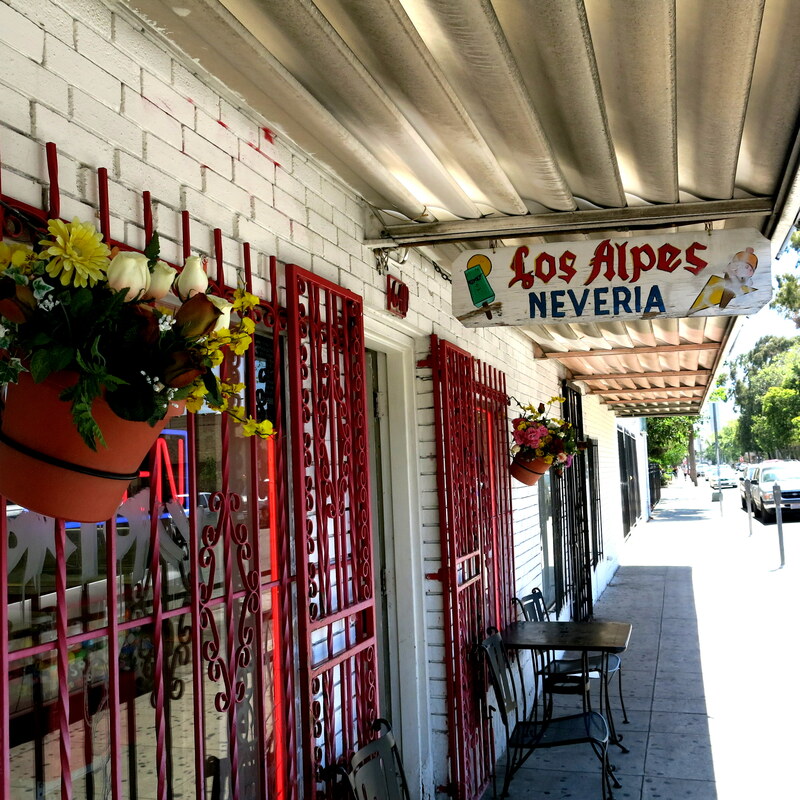 I stopped on the way through Huntington Park to take some photos, and stumbled on Los Alpes Nevería, just around the corner from Gage and Pacific Avenue. 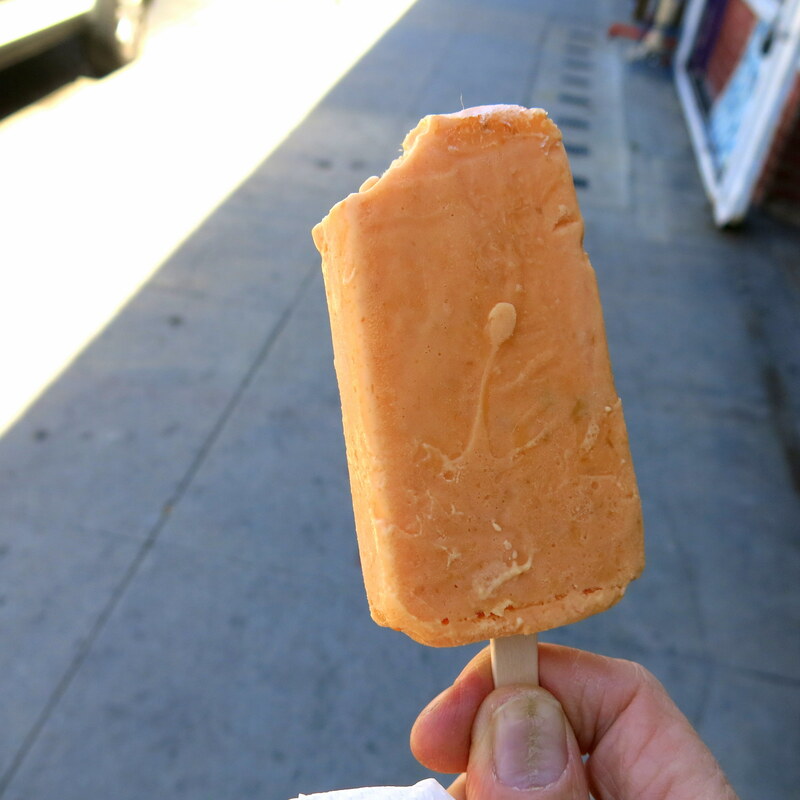 Paletas are a favorite Meican ice cream treat, and I went for the “mango de leche, a refreshing creamy, fruity delicacy that was just right for a warm afternoon. I’ll even confess that I also stopped into La Monarca bakery for a couple of their amazing guava taquitos… but I took them home – really. A quick walk down Pacific Avenue showed me that there’s lots to explore in Huntington Park, and I know I’ll be back soon. This entry was posted in Food! and tagged conchas, Huntington Park, La Casita Mexicana, Mexican bakery, paletas by brucecritchley. Bookmark the permalink.